In June 2017, Kurdistan Regional Government (KRG) and Russian energy behemoth Rosneft signed several cooperation, investment and production sharing agreements regarding hydrocarbon exploration, production, infrastructure, logistics and trading. Rosneft also obtained access to Kurdistan’s oil pipeline to Turkey with a capacity of 700,000 bbl/day, and is planning to extend this to over 1 million bbl/day, although no timeline has been given. Earlier in 2017, Rosneft’s Swiss-based trading arm Rosneft Trading S.A. agreed to buy crude oil from Iraqi Kurdistan until 2019. The crude is to be delivered to Rosneft’s refineries in Germany. Rosneft committed to paying KRG for oil supplies in advance. According to sources quoted by Bloomberg, the first advance payment was U.S. $1 billion. The deal meets the commercial interests of both sides. Rosneft expanded its global portfolio and secured crude supplies for its German, and potentially new Indian, refineries. In August 2017, Rosneft finalised the takeover of Indian refiner Essar Oil. On the other hand, KRG obtained much-wanted funds to finance its costly endeavours. However, as the layers of the deal begin to peel off, it has become increasingly clear that the agreement was primarily a demonstration of political legitimacy from the KRG, and a manifestation of Russian regional influence. KRG politics have been in a political deadlock since 2013. In 2015 the regional parliament in Erbil was suspended, triggering an unprecedented political scenario. Since then, President Barzani has been ruling the KRG informally. After more than a decade in power, Barzani has secured key positions in the KRG government, now controlled by loyal figures. The structure of these informal networks is key to understanding governance in the KRG, along with the drivers of the Rosneft deal. Russia’s energy industry is the principle driving force of the country’s economy and hence a primary strategic sector over which the state exerts a high degree of control. State monopolies or state-backed companies dominate the industry, which can be used to pursue the government’s political goals. This was first showcased by the gas wars with Moldova, Ukraine and Belarus in the 2000s. Rosneft, the country’s largest oil producer, is majority owned by the state and is run by Igor Sechin who is considered one of the country’s most powerful players and an ardent Putin ally. This makes the company a reliable agent that the Kremlin can utilise for political purposes, both at home and abroad. In exchange, Rosneft receives state support and privileges which allow Igor Sechin to pursue his ambition to convert Rosneft into a global oil producer. Related: Can Putin Bring Peace To The Korean Peninsula? In a comment to the Financial Times, Sechin criticised international sanctions for “transferring political responsibility on to the corporate level” and denied Rosneft being part of international politics. However, Rosneft’s foreign operations tell a different story. The Kremlin frequently uses Rosneft to promote its foreign policy agenda. The latest examples include the sale of 20 percent of Rosneft’s subsidiary Verkhnechyonskneftegaz (VChNG) to Beijing Gas in June 2017 and the takeover of India’s Essar Oil in August 2017. These deals were in line with the government’s “pivot to the East”, declared after western democracies imposed sanctions against Russia over its involvement in the Ukrainian crisis and the annexation of Crimea. The Kremlin started looking for alternative markets and investors among wealthy and powerful Asian nations. Therefore, closer commercial ties with Eastern players have been a priority of the Kremlin’s foreign policy agenda. 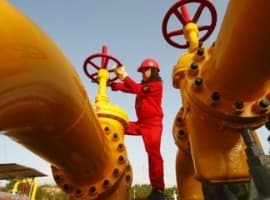 Last year, Russia - via Rosneft - overtook Saudi Arabia as the biggest crude oil supplier to China, Russia's sought after strategic partner and the key to the Kremlin's so-called ‘Eastern pivot'. Now it is rumoured that Rosneft might even sell a stake to a Chinese energy conglomerate CEFC. Despite the West’s continued criticism of Russia’s heavy-handed and dubious role in Syria, the Kremlin shows no signs of limiting its role in the Middle East. The Kremlin aspires to cement its role as an important player in the region whose strategic interests must be recognised, albeit it now uses commercial tools instead of the military. Rosneft’s recent foreign deals seem to pursue this ambition. For example, in July 2017, it started buying oil from Libya. Rosneft’s new deal with KRG has all the signs of falling within the same context. Three main figures arise in the KRG in relation to the Rosneft deal, which ultimately are directly linked to President Barzani. The first of these figures is the current KRG Prime Minister, Nechirvan Barzani – the brother of Masoud Barzani. Nechirvan has taken part in this deal as the senior representative of the KRG authority. Since 2013, Nechirvan has been involved in major energy deals between the KRG and other entities and states. This was the case in the 2013 deal with the Turkish government when he signed a deal with the then Turkish Prime Minister, Recep Tayyip Erdo?an. This deal was carried out under obscure parameters, as it was never disclosed to the public, and international audit firms were not permitted to analyse it. Nechirvan, who is also the president of the KDP, is likely to be playing the role of a middle- between international energy clients and President Barzani, who is seeking to maintain a low public profile given his lack of political legitimacy. Another key figure that took part in the Rosneft-KRG deals was Dr Ashti Hawrami, the current KRG Minister of Natural Resources. Hawrami is believed to be an essential actor in deciding access to KRG oil fields, as he has strong influence over most stakeholders in the KRG. According to Shadow Governance Sources, Hawrami’s modus operandi makes him indispensable to any IOC operating in the KRG, and therefore maintains high levels of influence in the KRG energy sector. The last key KRG energy sector power player – who was also involved in the Rosneft deal - is Qubad Talabani, son of the former president of the second largest political party in the KRG, the Patriotic Union of Kurdistan (PUK), Jalal Talabani. 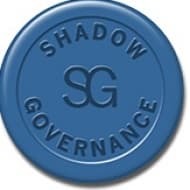 According to Shadow Governance sources, the Talabani family controls the oil fields of Sulaimaniyah, which makes them key actors in the energy sector. Moreover, Qubad Talabani - since 2014 – has been the Deputy Prime Minister, and he is also believed to play a key role in KRG-U.S. political and economic relations. The participation of Qubad Talabani in the Rosneft-KRG deal has been a game-changer in the political power relations of the KRG. As the PUK was leading the political opposition in the KRG, alongside the Gorran movement (a scission of the PUK) against the KDP, the Talabani’s backing of the Rosneft deal jeopardises this political alliance and establishes a new PUK-KDP coalition. (3) that the rule and political recognition of President Barzani is being reinforced. This deal with Rosneft will inevitably help legitimise his current (unofficial) position as President of the KRG. While the KRG-Rosneft oil deal primarily highlights the dynamics of the KRG's domestic power struggle, from the Russian perspective, it promotes the Kremlin’s foreign agenda. In January 2017, Gazpromneft declared that it would increase oil production in Iraqi Kurdistan despite the ongoing military conflict that is only 50 km away from one of its production sites. Gazpromneft’s CEO Alexandr Dyukov then said that the company did not see any risks that could affect its operations in Iraqi Kurdistan. Interestingly, in 2016, Gazpromneft was more cautious about its intentions vis-à-vis Iraqi Kurdistan. 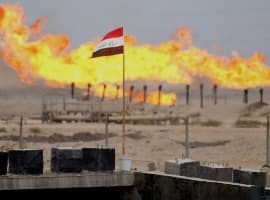 It then claimed that due to remaining geological uncertainties at Halabja, Shakal and Garmian blocks - as well as the overall situation in the region - Gazpromneft “did not rule out the possibility of reconsidering its geological exploration programme in Iraqi Kurdistan. Both Rosneft and Gazpormneft explain their decisions to enter and remain in Kurdistan’s oil industry due to significant undiscovered oil reserves. The KRG Ministry of Natural Resources estimated that Iraqi Kurdistan held 45 million barrels of oil reserves with one of the lowest production costs per barrel in the world. However, there is conflicting evidence regarding Iraqi Kurdistan’s resource potential. Representatives of oil companies and energy experts in the field interviewed by the Wall Street Journal complained about additional, unexpected costs arising from the difficulties in producing oil in Kurdistan. In many cases, additional extraction techniques such as horizontal drilling were required. Moreover, the extracted crude turned out to be heavy, less valuable and with toxic gases in it. ExxonMobil and Chevron – both exploring Kurdish oil reserves since 2012 - have so far failed to develop any oilfields. In February 2016, Turkish Genel Energy admitted that the oilfield it had been developing contained twice less oil than it had expected. In addition, the KRG proved to be a somewhat unreliable business partner and is known to have delayed compensation payments to companies. According to some estimates, in 2016, KRG owed Genel Energy, Gulf Keystone Petroleum and Norwegian DNO approximately U.S.$1.7 billion for produced oil. Therefore, regardless of the official statements, risks associated with operations in a debt-ridden politically unstable administration, with an open military conflict in the vicinity, seem to override the potential benefits. The exception being if Rosneft entered the deal knowing that it was primarily pursuing geopolitical goals, and was offered significant privileges. While Rosneft refused to disclose which oilfields it was looking to develop under the five PSA agreements, it is rumoured that some of the sites are located in disputed territories including Bai Hassan field near Kirkuk and Sinjar block near the Syrian border. Rosneft’s deal with KRG creates a strategic stronghold for the Kremlin giving it certain bargaining chips over the central Iraqi government and Turkey without too much official involvement in KRG affairs. On the other side, the deal between Rosneft and KRG has been announced by the Kurdish government and its loyal media outlets as a factor that marks a new era in this region. This deal has been presented as evidence that the KRG is again political and economically stable, and that the political crisis triggered by the presence of ISIS in KRG territory is now part of the past. Therefore, the KRG is trying to portray a more stable image to attract foreign investors, especially in its energy sector. Therefore, Rosneft is being presented as the first client, of many others, to invest in the KRG. While this discourse is embraced by KRG officials, the reality and consequences of this deal are quite different. Economically, this deal could be understood as one of provisional aid being provided to the KRG – which is generally financially strapped. In the short term, the U.S. $3 billion promised by Russia seem to strengthen this weakened economy. Yet, it remains unclear how this investment can shape the financial future of the KRG. Moreover, this deal has also brought together KDP and PUK political elites, which might work to reinforce the informal power that President Barzani currently holds. In the long-run, this deal is likely to increase the already high levels of institutional opacity and corruption present in the KRG. The only body that could supervise this type of deal in the KRG was the regional parliament, which has been suspended since 2015. Although this emerging environment is favouring the informal networks of President Barzani, and the de facto political actors that are driving energy sector deals, international investors should be aware of the high levels of political exposure. The high levels of personalisation of these deals should also raise concerns for political and economic analysts. 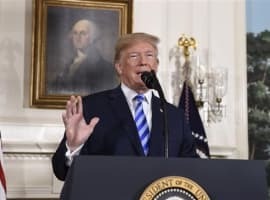 The fragility of this deal stems from the fact that it relies on the informal connections between the deal makers. Should there be any changes to the status quo, the deal would be vulnerable to subsequent questioning in terms of its legitimacy. While the KRG is portraying its deal with Rosneft as a great success that will attract future investment, the outcomes are much less certain. The KRG’s political impasse is likely to remain as the deal with Rosneft actually adds to its informal governability. Russia, on the other hand, is betting on the deal to promote its long-term policies in the Middle East, rather than expecting a return on its investment. Therefore, the deal is more of a political gamble rather than an economic one.